Phillips Connect Technologies (PCT) has completed its acquisition of trailer telematics company Connected Holdings. 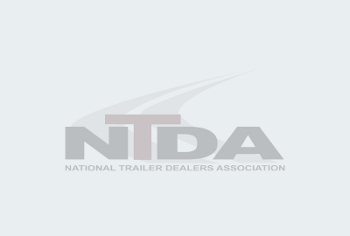 According to the companies, Connected Holdings, headquartered in Newport Beach, CA, has been working closely with PCT over the past year developing the TrailerNet™ family of trailer telematics solutions. Phillips Connect Technologies (PCT) products incorporate trailer telematics, GPS trailer tracking, and integrate component health, early fault notifications, and predictive analytics into simple to use online applications, which they state result in dramatic improvements to fleet up time, CSA scores, driver safety, and accident mitigation. PCT will be launching its full TrailerNet™, ChassisNet™, and ContainerNet™ transportation technology platforms at the upcoming ATA Technology and Maintenance Council (TMC) exhibition. Phillips Connect Technologies (PCT) is a Phillips Industries company. Its product platforms include TrailerNet™, ContainerNet™, and ChassisNet™. Visit www.phillips-connect.com for more information. Since 1928, Phillips Industries has been recognized as a leading innovator and manufacturer of advanced electrical and air brake system components, as well as electronic solutions for communicating vehicle data to fleets and their drivers for the commercial truck and trailer industry. Phillips’ products are standard on nearly 100% of Class 8 trucks, more than 50% of all trailers manufactured in North America, and can be purchased at virtually all premium distributors. Phillips has manufacturing and distribution facilities throughout the US and Canada, as well as Mexico, China, and Europe. Visit www.phillipsind.com for more information. Great Dane announced its sponsorship of the 2019 Fleet Owner Private Fleet of the Year award, which was presented at a luncheon during the National. Hendrickson says it is expanding their Trailer Commercial Vehicle Systems operations in Northeastern Ohio. The 35 acres the company purchased will become home to Hendrickson’s.